Rep. Judy Chu (CA-27), chair of the Congressional Asian Pacific American Caucus, isn’t at the Trump inaugural. In my phone conversation with her, Chu said Trump’s attack on civil rights icon Rep. John Lewis was the last straw. But it’s not the only thing that makes her doubt Trump’s fitness for the job of president. She feels a more concerted investigation should be conducted on Russia’s tampering with the Nov. election and the nature of communication between Trump staffers and Russia. Instead of the inauguration, Chu will be holding a district meeting with constituents on the Affordable Care Act, and whether it can be spared Trump’s elimination. Finally, Chu talks about bipartisan efforts to protect undocumented immigrant youth from deportation through the BRIDGE Act. 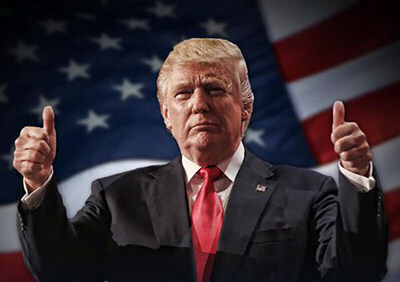 The new president has promised to go after executive actions on Day One, which could eliminate Deferred Action for Childhood Arrivals (DACA) with a simple signature. Chu won’t be at the inaugural, but she’s not giving up the fight. Personally, she feels that Trump may stumble from some political faux pas and not recover. If it happens within the first two years, the midterm elections could help Democrats win the Senate and add seats to the House. Already, the New York Times is reporting that as Trump takes office, intelligence agencies continue to examine intercepted communications between Trump’s aides and Russia. It means that as Trump assumes office his aides are under investigation by agencies that Trump, as president, could conceivably block. 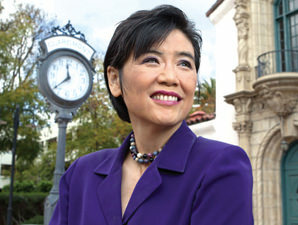 Listen to my conversation with Rep. Chu here. See my piece on Obama’s last day here. We’ll miss Obama’s integrity and his commitment to inclusion. Compared to Obama, Trump is a downgrade. Since writing that piece earlier on Thursday, Trump continues to act as a man who doesn’t quite understand he’s about to be president. You’d think that the presence of Energy Secretary Rick Perry alone would help assure a more modest IQ ranking. Ever catch Mick Jagger’s lyrics? There’s been so many girls that I’ve known I’ve made so many cry, and still I wonder why Here comes a little girl, I see her walking down the street She’s all by herself, I try to knock her off her feet ‘Cause you’ll never break, never break, never break, never break This heart of stone, oh no, no, this heart of stone. Maybe the song is Trump heralding his best attribute. Considering all the charges of misogyny that came up pre-election, it was a telling choice of music for the soon to be predator-in-chief. That Women’s March the day after the inaugural on Saturday couldn’t come soon enough.